Tigerair Australia pilots have commenced protected industrial action, which the Australian Federation of Air Pilots (AFAP) union says could result in flight cancellations and disruptions at the Virgin Australia-owned low-cost carrier, as it has come to rely on pilots working on rostered days off. 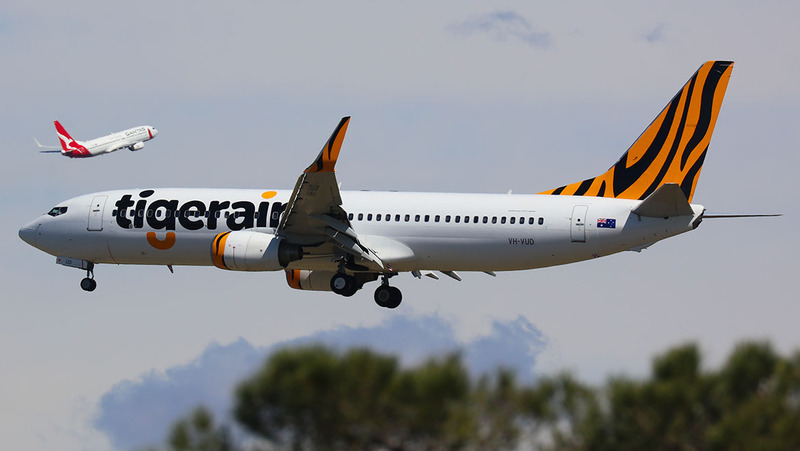 Limited industrial action was initially planned for December, but was suspended after Tigerair made a successful application to the Fair Work Commission. The new work ban sees pilots not working on “rostered days off, annual leave days or days free of duty”, the AFAP said on Thursday afternoon. “After more than two years of negotiations Tigerair pilots feel there is no alternative left to them but to take this protected industrial action,” AFAP industrial officer James Lauchland said in a statement. The airline has come to rely on pilots working on rostered days off, Lauchland said. “This action simply involves pilots working to rule and refusing to offer this discretionary effort. Despite the work bans Tigerair is not expecting the industrial action to affect passenger travel plans, and has put in place contingencies to minimise any disruptions. “Tigerair Australia is currently negotiating a new Enterprise Agreement (EA) for pilots with relevant stakeholders, including the Australian Federation of Air Pilots (AFAP) and VIPA,” a Tigerair spokesperson said in a statement. The AFAP said around 90 per cent of pilots employed by Tigerair approved taking the protected industrial action, which will run between January 4-9 and again from January 11-17. Most Tigerair Australia pilots are represented by the AFAP, with a small number members of VIPA, which represents other Virgin Australia group pilots. A conciliation conference at the Fair Work Commission is scheduled for January 10. “It was not our preference to engage in disruptive action but this is a direct consequence of the company challenging our other less disruptive actions at the Fair Work Commission,” Lauchland said. If there are any changes to flights, Tigerair will contact affected passengers directly. THIS IS JUST NUTS !!! We are heading into the worlds biggest recession EVER & these people want to go on strike. How many will lose their jobs altogether, is the real question. Don’t these union idiots look at the world financial news ? It’s going to be very VERY ugly & many airlines won’t survive 2019-20. Clrarly if you understood the aviation industy which you dont you might appreciate their plight. I am sure the travelling public would like to have a fit and well rested pilot at the controls. Instead David you consider the pilot at your plane controls a battery hen. Rostered days off are there for a reason turn of your phones guys and go to the beach. By workers working more then contracted they’re effectively taking money that should be distributed more evenly to more employees that could spend that money in the economy keeping things moving along. By working overtime you’re depriving someONE else of a job, damaging your health, and the economy all in one. The only person that benefits are the banks and shareholders which are usually foreign investors. How do you know we are heading into the “world’s biggest recession ever”?? Isn’t it funny how every time an EBA rolls around there’s always talk of gloom from pro-management types about how there are storm clouds around the corner and pilots need to take a cut to pay and conditions to survive despite record profits and management bonuses in previous years. And those storm clouds never seem to eventuate. Tiger pilots, stick to your plan. A company should not be relying on it’s pilots volunteering to work on their rostered days off to stay afloat. Y your call that we’re headed for a’the world’s biggest recession’. It’s an over the top statement that is not substantiable by any statistical evidence. Air safety is critical and fatigue management is one of the key factors in airplane operation. Perhaps you should watch some TV – Air Crash Investigators. You’ll understand why thousands of people die due to errors of judgement made by fatigued pilots. Absolutely, Not only pilots. As a small/medium sized business operator it astounds me of the lack of reality of what its really like in the “real world”. They wont be travelling when they start losing their jobs, then houses. It’s not the unions or their members that are the problem here! People losing their jobs is directly proportionate to how management respond to this. Relying on pilots to work on days that should be used as rest is unethical mismanagent that should be illegal, not to mention a major safety issue. If the business model persistently relies on pilots working additional days then surely the business model is ultimately broken and unsustainable. The question here is how long is an interim arrangement actually viable for before just becoming routine? This would seem to be the case for much of the global LCC segment. The margins are painfully tight, and given LCC airline failures probably too tight. Whilst wages are an expense there are plenty of other expenses also. What a shame the airlines can’t group together as a fuel-purchasing cartel so as to screw OPEC – instead they invariably look towards driving wages and efficiency. It would appear in this case Tiger either hires more aircrew, or reduce the schedule, or they find some sustainable middle ground… probably with both sides giving a little. Please stop! You are embarrassing yourself! As most have already mentioned you clearly have no idea what you are on about. As someone who is really close to the action, I can tell you that this airline only exists due to the goodwill of its pilots and Cabin crew. Tiger’s pilots are not at fault for the poor state of the airline. It was not the pilots who messed up the whole Bali thing, nor the introduction of old clapped out 737’s. It is definitely not the pilots who run the operation so thin with staff that they have to rely on pilots to work on their days off. Just so you are aware, the pilots have not seen a pay increase for years, work up to 11 hour duties without so much as a meal break or meal. David how would you like to be at work for 130hrs and only get paid for 70? That’s the reality that most people aren’t aware of, please see the remuneration package of Merren and her predecessors, and tell me if you think this is fair. As for economics you also have no idea, the best economists in the world have never been able to accurately predict any of the past recessions… However here you are… maybe you know more than Warren Buffet. The Tigerair pilots shouldn’t be criticised for using a legal process to help their negotiations. The current industrial relations landscape is heavily favoured towards employers. Workers should use every limited tool they have to fight for their rights. Good luck to the pilots of tiger. Sounds like a great management plan if your day-to-day operations rely on your staff working on their days off and not taking their allocated holidays. If companies genuinely negotiated “in good faith” , remunerated their front line staff properly, and acknowledged when they do more than required, with more than just lip service to the staff and obscene bonuses to upper management, then you wouldn’t need Unions: but they don’t – So we do. Best of luck to the Pilots, How is 2 years of negotiations fair? It is well known that companies extend negotiations as long as possible to delay a pay rise for the staff, this is a prime example. I’m sure it’s not hard for the airline to keep its staff happy. The last thing I want when traveling is disgruntled staff in control of my plane. How is it such a bad thing that the pilots want their rostered days off as a day off? Something seriously wrong when an airline has to rely on staff giving up their Rostered days off to operate. The Bali issue wasn’t actually Tiger’s fault. Or Management. At the time the AUS military greatly offended the Indonesian by something that happened before their Bali problems occurred. It was very published at the time. For that insult Tiger / Virgin paid the diplomatic price. It wouldn’t have occurred to anything Qantas related, Virgin were the ideal reminder of their sovereignty and disrespect. It was diplomatic games. Do you think Virgin loosing or ‘not having’ the required permission to create a business situation would be able to occur with any public listed corporation in AUS these days? It would be wise to see some things definitely don’t add up here. It really smashed them at the time when looking to really expand things greatly requiring a massive business reorganisation which is probably still being absorbed. Its tough environment here for airlines. Qantas has massive economics of scale advantage despite the marketing doing anything to take it away from our awareness. It squeezes Vigin from both ends. Virgin in most areas is probably just under the economics to really take the next level so despite the criticism of them i think they are probably doing an incredible job doing what they’re doing. The costs of maintaining the back end for an airline must be ridiculous. Hence, where the economics of scale really are needed. The unfortunate reality is this Tiger margin situation is probably a fractal for a great portion of businesses out there in Australia at present. Their employees do deserve to be looked after. Anyone traveling over a Christmas period for example know how demanding any pilots role is. The ability to have such cheap flights as an option is something I hope they are able to maintain as an option for Australians. As it will become difficult for many. The suggestion of issues in the world relate to the US Federal Reserve and other Central banks removing liquidity from the markets via raising interest rates. The decade of quantative easing and low interest rates are having the desired affect to stimulate inflation. Which is where we are at now. The household debt issue for many Aussies is very bad. Raising of interest rates are really going to smash alot out there. I hope Tigerair are listening – I am currently delayed 4 hours on a TA flight. TA Pilots were negotiating in good faith for reasonable conditions, which TA refused to meet. Of course the pilots had no other choice. As a passenger I am appalled that the airline was refusing to let pilots take the rest they need to perform a highly responsible job. Forcing pilots to work overtime is also neglecting passenger safety. @ALPHA141 You say there was more to the Tigerair Bali flight ban than the rest of us know, however you don’t specify details. I’m not privy to anything other than what I read/heard in the media at the time. I do recall from media reports that the reason for Tigerair’s ban was due to the alleged sale of cheap, one-way fares from Bali to Australia when apparently the airline was only permitted to sell return tickets from Australia to Bali. Perhaps we should go back to see how Australian Aviation reported on the topic at the time as I’d expect factual, informed reporting of the reasons for the ban. My purpose to offer this. There were high level things being played with here that are well above an airline management area of control. Don’t blame the Tiger management entirely for the issue. As many have been pretty harsh i think blaming them entirely. I think they would also know this but did not want to ‘blame’ the market they were attempting to enter to inflame the situation and play the victim. This is separate for the staff issues now definitely which to me have a relationship to that issues from Bali. Its not an excuse but to me it is pretty obvious. How many times in recent years or decades has an airline suddenly lost the right to travel to a country like this? Very very rare. Bali was to be a great fit for Tiger and the resources required to expand to that scale there would have been certain risk management strategies in place. Because the need for such harsh conditions now for their employees imho stemmed from that time. Just my perspectives. I think unfortunately, it is a loose loose all round here. I hope Tiger and all employees find some way through all this. Thus maintaining the option for Australians to explore our vast land cheaply. An ongoing saga. Two years is far too long for management to drag this out. TA pilots should go for a backdated agreement, as well. Let’s hope the negotiations wrap up favourabley soon. Crew fatigue is a hidden killer and believe me there’s more of it out there than is desirable especially when it is ‘company monitored’ with regulatory blessings. Industrial action is always a last resort especially by crew. Managers always try and ‘screw the crews’ and forget the bigger picture that crews try and uphold usually to their detriment. Enough is enough. Two years for negotiations is too long. When crews start walking to maintain their sanity good luck in replacing them unless of course the situation is part of a strategic remodelling of TA. Let’s employ more crew (Australian s) while you can and progress amicably while you have an airline to run to provide a service to those people who still or want to support you! Call me naive if you wish but as someone who spent most of his working life in aviation it seems that this situation comes about when you do not have enough qualified pilots. Days off roster are there for a damn good reason not as some sort of emergency backup for the rostering management. When I fly I would like to think that the technical crew are all fresh and ready to do their jobs.